Is it the same as carrying a large umbrella ? I have routinely carried (as part of cabin luggage) the like pretty much all round the world and nothing at all has ever been mentioned about it. Is it the same as carrying a large umbrella? No, because cabin luggage may have a maximum dimension as well as maximum of the sum of all dimensions and, frankly, in a confined space like a cabin traditional umbrellas can be a nuisance. 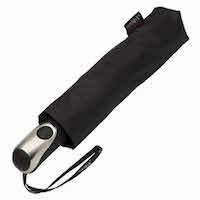 However, I think most airlines will accept traditional umbrellas as a 'personal item' over and above hand carry-on (example). Though more likely the full-service carriers and to or from wet climates. They may take it off you as you board and store it in a cupboard separate from the overhead lockers. Not the answer you're looking for? Browse other questions tagged aircraft prohibited-items or ask your own question. Can I rent a small plane (Cessna) in Europe? What's the longest take-off run of a commercial flight? Are there any flights which permits a Sikh to carry a kirpan? Is there such a thing as individual tourism with water plane?